The Body Lock is here to bring you live results and round-by-round commentary for all of the action at ONE: Heroes of Honor in Manila, Philippines. Heroes of Honor is headlined by a bantamweight matchup between Kevin Belingon and Andrew Leone. The card will also feature the debut of ONE Super Series, the organization’s new striking-only competition. All of the bouts at ONE: Heroes of Honor will take place inside ONE’s new five-rope ring. It’s an electric start as Belingon and Leone start trading shots immediately. Leone attempts a low kick but Belingon answers back with a stiff right hand. Weirdly enough, Belingon takes Leone down to the mat and lands some damaging ground and pound. Belingon delivers a knee to the head of Leone while grounded and opens him up. After a quick timeout, the action resumes and Belingon ends up finishing the round on top of Leone, delivering more strikes to end a dominant opening round. The second round didn’t have the same intensity as the first. Of course, that was always going to be tough to match. 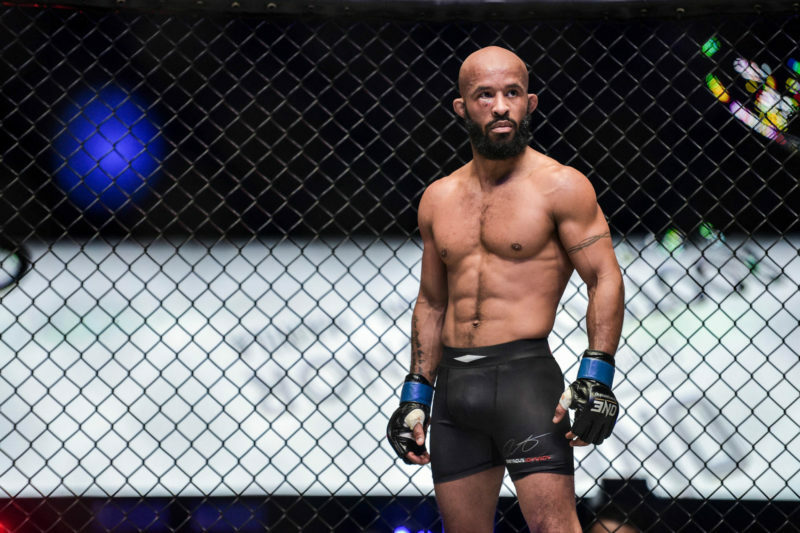 However, the crowd ignited when Belingon connected with a brilliant spinning back kick and dropped Leone to the canvas. He finished the fight with ground and pound. Leone never ‘out of it’ and was trying to fight back, however referee Olivier Coste put an end to the contest. Unfortunately, the official ONE stream stopped during this round. We’ll come back to a recording as soon as we can. Petrosyan pushed the action all second round. He continually backed Nattawut into the ropes and clinically found his openings. There’s a lot more diversity in Petrosyan’s attack; he’s mixing in teep kicks with low kicks and punches straight down the line and around the gloves. The round was all Petrosyan. He was always a step ahead of Nattawut and punished him with extra shots in every exchange. Petrosyan showcased some of his usually slick counter strikes and tagged his opponent often but was never able to land with enough impact to put Nattawut down. Adrian Pang is stalking Honorio Banario around the ring and clearly just wants to engage in a phonebooth style fight that he so loves. He continues to walk down Banario, but it is Banario who gets the upper hand in the first round. Banario connects with a high kick to the head and then follows up with a powerful series of strikes. Pang, who hasn’t been stopped since 2006, keeps coming forward. Pang is becoming irritated by Banario’s lateral movement. The ring suits Pang’s style of stalking in this contest and he has been able to effectively cut Banario’s space and trap him into engaging in a brawl. Banario’s fighting smartly, there’s no doubt about it. Pang is storming forward now, though, and has connected with some seriously damaging body punches. Banario’s clearly feeling the presence of “The Hunter” and this round has started to take a turn in the opposite direction. 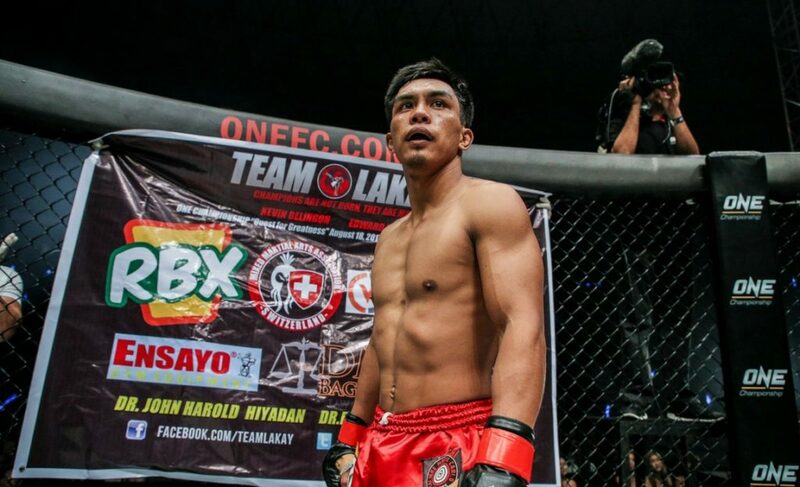 Adrian Pang has been ‘hunting’ his Filipino opponent for three rounds now. Banario was continually evading exchanging with Pang toe-to-toe, and that’s an intelligent decision. Although Pang was pressing the action in the last round, he wasn’t landing with a high percentage of his strikes. Banario occasionally tagged Pang while evading, but didn’t land with any significant impact. The last round was difficult to assess; Pang’s forward pressure was noticeable but neither fighter made an impact. 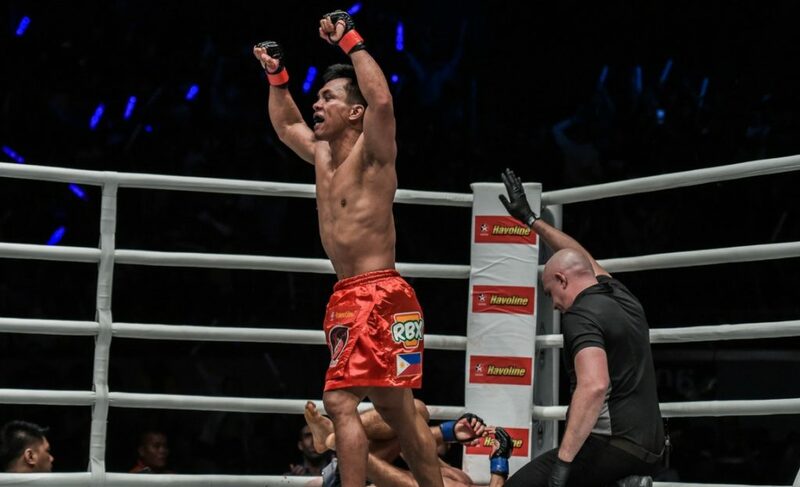 Nong-O Gaiyanghadao controlled the clinch during the first round and took Fabio Pinca’s legs out from underneath him on multiple occasions. He narrowly evaded the Pinca high kick by leaning backward during the first round, as well. All in all, Nong-O dictated the exchanges. Pinca is stalking Nong-O around the cage but is rarely striking first. Instead, Nong-O is opening up with lighter strikes to bait out an attack and then counter with his own once Pinca begins to throw. Nong-O connects with a stunning right hand late in the round and caps off another decent round. Pinca opens up the third round with a series of body kicks to either side. It’s clear that Pinca realizes that he needs to lift the intensity here if he wants to win this bout. Whenever he steps into the clinch with Nong-O, though, he is either swept to the mat instantly or controlled against the ropes. Nong-O looks levels above his opponent and Pinca is visibly frustrated. Urrutia opens up the contest with a powerful low leg kick that seems to hurt Gafurov. Unfortunately for “The Honey Badger” his next kick enables a Gafurov takedown. Gafurov maintains top position and applies heavy pressure to Urrutia who is unable to escape. The former champion then transitions to an arm-triangle and applies his “Cobra”- like squeeze to finish the fight. Imanari instantly dives in for a leg lock, but Kim is more than aware of the tactics that the leg-locking maestro usually employs and scoots away. Imanari rushes Kim but runs into a strike that sends him straight down to the canvas. It takes Imanari a while to dive in for another leg, but Kim smartly evades the danger and applies some heavy pressure to the upper body of Imanari. By flattening out Imanari, it disables his ability to elevate his hips and attack the legs. This round starts to get hilarious when Imanari takes a seat and encourages Kim to come down to the mat. Instead, Kim taunts him back and laughs. Imanari isn’t having much success with his leg lock attempts so far, but it just takes one mistake from Kim and it’s all over. Kim dropped Imanari with a straight left hand at the beginning of the round, and it was another example of Kim’s striking dominance in this contest. There hasn’t been much that’s landed, but in comparison, Imanari has connected with nothing. The most dominant moment of the fight came when Kim transitioned into side control and began to strike Imanari. He eventually channels his inner Khabib Nurmagomedov and scoots up to secure the crucifix position and start striking away, yet again. Dae Hwan Kim finishes the fight in full mount. Imanari was attempting leg-lock entry after leg-lock entry but was never able to secure a position that enabled him to finish the heel hook. 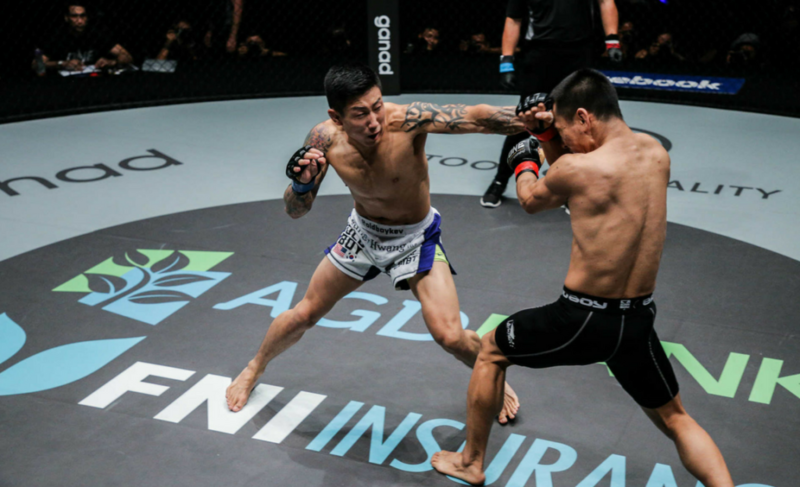 Dae Hwan Kim landed the occasional strike, but it was his top pressure and ground and pound that carried him to victory. It’s Elliot Compton pushing the pace against Cosmo Alexandre and managing the center of the ring. Alexandre has been patient all while Compton is the much more active fighter in this first round. Compton does take a back seat toward the end of the first round, however, and Alexandre starts to pick up the volume. It might not have been enough in that round for him, though. Alexandre has been creative in the clinch during the second round. He has been mixing in knees to the body with elbows that have been catching Compton unaware. Alexandre even sneaks in a spinning back elbow at one stage. 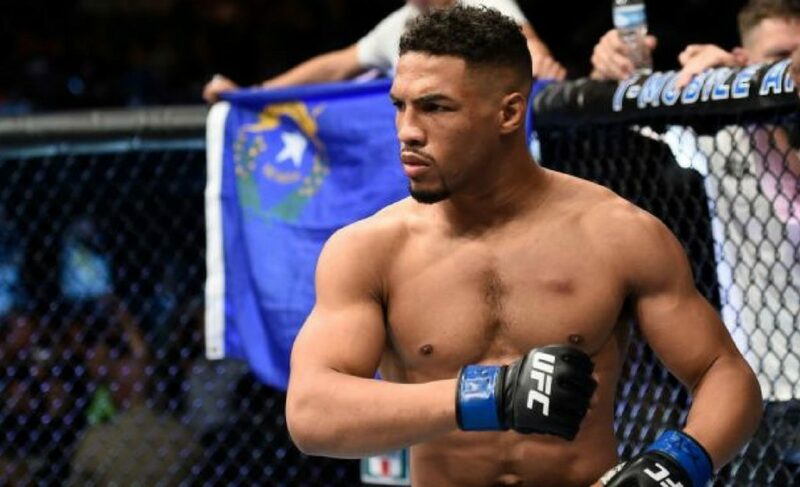 He increased the intensity with a series of devastating knees to the body and went back to that strike to send Compton to the canvas and finish the fight. It was a slow start for Cosmo Alexandre who was seemingly coming to terms with his opponent. Compton was attempting plenty of strikes, but a minority were landing cleanly. Alexandre picked it up in the second round and floored Compton with a knee to the body. This one was over not long after it started. Akihiro Fujisawa secured a takedown early in the fight, and Kaji Eben attempted to post with his arm. The action seemed to have injured his shoulder, and he was visibly in pain from the landing. He retired not long after. The gameplan is clear for each fighter here in this three-round bout. Riddell is marching forward and trying to connect with flurries of punches through and around the guard of his opponent. Eersel is standing tall and using a high guard to protect his face while also focusing on working over the legs of Riddell with kicks. His counters have been superb, but there haven’t been many. Riddell was the more active of the two fighters in the first round as Eersel was probably a little too patient. Eersel is fighting short and waiting for Riddell to unload combinations before answering back with his own. Riddell is having success with the left hook as he steps to the right of Eersel and sneaks past his guard. As Riddell moves forward, he walks into a crushing knee from Eersel that has him wincing in pain. Moments after that blow, Eersel connects with another damaging knee and sends Riddell to the mat for the first knockdown of the fight. Riddell comes out firing in the third round and marches Eersel back to the ropes. While Riddell was connecting with punches in the first round, Eersel seems to have worked out his timing now, and it is more challenging for Riddell to land cleanly. There’s a lot of volume from Riddell in this last round, but not much is connecting with the same impact that we’ve seen from Eersel. Regian Eersel remained tight with a high defense and disallowed Brad Riddell from sneaking anything through the middle. Riddell was forced to work angles and cut to either side in an attempt to land cleanly, but Eersel had his counters waiting. In particular, a devastating combination that included a knee and liver shot dropped Riddell. Jenny Huang’s striking problems are still on display here in Manila, Philippines. Her hands are low and Gini Iniong is making her pay with stiff straight punches. Iniong is also doing an excellent job of cutting angles and moving laterally to keep Huang from closing the distance. Iniong’s jab has been the key. Gina Iniong has come into her own in the second round. She knocked down Huang with a precise jab and is unable to follow through on her progress. The round plays out mostly against the ropes, and it is Iniong who is managing the contest at the moment. Iniong lands in full guard after a scramble and Huang controls her posture enough to delay any transition or ground and pound. Iniong ends the round with a slick armbar attempt but cannot finish the submission. The last round was all Gina Iniong. She has controlled the contest from start to finish and managed to remain threatening from all positions. Iniong attempts another armbar, but can’t finish it. At the least, it’s an improved display of grappling from Iniong who has been getting the better of Jenny Huang. Gina Iniong looked to be on another level tonight, and she outworked Jenny Huang while standing and on the mat. Huang had no answers for Iniong’s pressure and persistence. Adrian Mattheis opens up the round with a leg kick, but Lan Min Qiang punishes him with a flurry of punches. After connecting with some strikes he takes Mattheis down to the mat, but that proved to be a questionable decision considering he was outclassed while on the ground. Mattheis spends most of the round raining down shots from full mount all while his opponent is trying to work out how to hip escape. Mattheis threatened with a deep armbar attempt, but his Chinese adversary escaped the submission before answering back with strikes. At one moment while Mattheis was in full mount, Lan had locked up a guillotine but that was always going to be difficult to finish from there. A relatively crazy round of action and Mattheis was dominant from the mount position. The pace slowed dramatically in round two as each fighter attempts to recover from a ferocious first round. The stand-up action was back-and-forth but came to a sudden halt when Mattheis secured a perfect double-leg takedown. Lan went straight back to the guillotine to stall from the position and Mattheis instead slid right into full mount again. The strategy for Lan seems to be stall the fight while it is on the ground as he seemingly has no understanding of how to get back on his feet. In the final round of the contest, Lan started to get going and find his striking range. At one stage, he connected with some heavy blows but was immediately taken down by a well-timed Mattheis takedown. Again, Lan struggled to get back on his feet and Mattheis ended up controlling the rest of the round from top position. Lan Min Qiang showed glimpses of striking prowess but it was never for more than a second at a time. Adrian Mattheis controlled the action and dictated how the fight would take place by relying on his well-timed takedowns. Lan was never able to work out from underneath Mattheis’ full mount and instead gave up valuable minutes in a disadvantaged position.